A toddler plays a game of peekaboo, and you're invited to play too. First there's Mommy to find, with Daddy not far behind. Then Puppy comes peeking around the corner, and a favorite toy train brings the toddler to Grandma and Grandpa. Isadora's brilliant, joyful pastel illustrations capture the familiar and cozy people, toys and animals that will delight babies. Join this sweet toddler in the morning fun, sharing words your baby can repeat and pictures your baby will recognize. Then find out what this toddler sees next. It could be you! 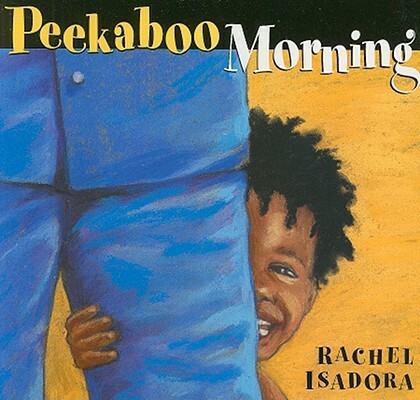 Rachel Isadora has illustrated many books set in the world of dance and theater, including Opening Night, My Ballet Class, Swan Lake, The Little Match Girl, and Ben's Trumpet, which received the Caldecott Honor Award and the Boston Globe-Horn Book Honor Award.